Thank you for signing up to the Big Charity Upcycle! The volunteering event will take place on Sunday 10th February, 5:00pm-7:00pm, at Mill Hill Synagogue - Station Rd, Mill Hill, London NW7 2JU. 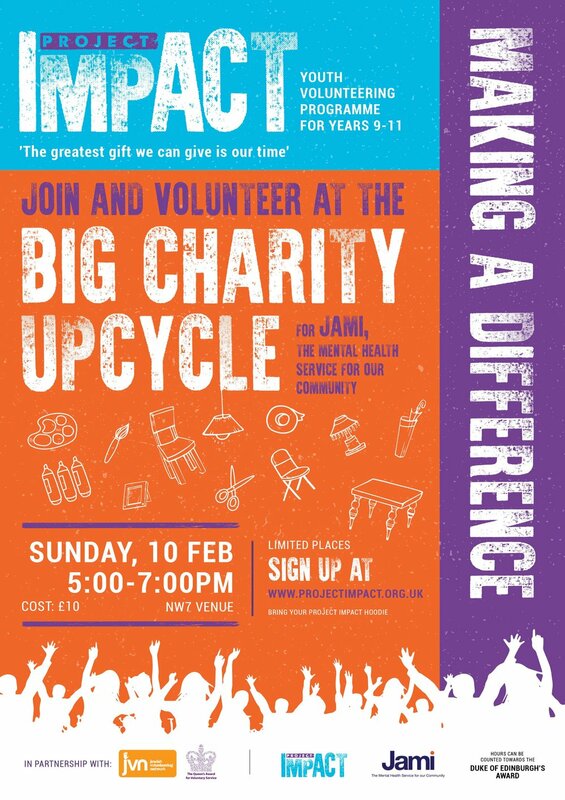 * If your child isn’t signed up to a local Project ImpACT group, the cost is £10 for the event. * If your child hasn’t attended a Project ImpACT event, we will send you an additional form to fill out.